You may have heard the buzz over recent years that the Social Security disability fund will run out of funds in 2016 unless something happens to change it. 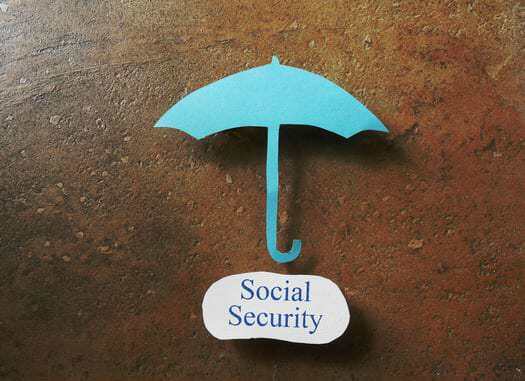 The Social Security Disability Insurance program and the Supplemental Security Income program are what people are referring to when they discuss Social Security disability. The money for benefits comes from the Social Security Administration’s disability fund and it’s the SSA that administers both these programs. Additionally, there’s a Social Security retirement fund which pays Social Security retirement benefits to those people who are said to be collecting Social Security. The SSA administers both funds via tax withholdings maintained in separate funds due to their separate purposes. Until recently, however, if the money was getting low in one fund, it could simply borrow money from the other fund so that benefits were not reduced. This happened many times over the disibility program’s existence until a Congress passed a recent law. Fixing this problem is not difficult with the current amount in the retirement fund being enough to last until 2034. If one year of funding were transferred out of the program, there’d be enough money for the retirement program to operate without a hitch until 2033, then the disability programs would have enough funding for at least 15 years. The reason for the large descrepency is that the number of those collecting retirement benefits far outweighs the number of those collecting disability benefits. Approximately 10 millions Americans collect disability. However, although reallocating funds has previously worked well, it’s now harder to implement, since the GOP passed a regulation against this occurring, in a party line vote. One side of the issue vows not to fund the program unless major changes are made, yet they don’t indicate what changes need to be made. On the other side of the issue, people are urging the continuation of reallocation so that 10 million Americans don’t see their monthly income cut by 19%. Forbes has published a recent article indicating that Congress is currently considering a proposal to increase Social Security disability benefits. This increase wouldn’t put an end to cuts in late 2016 but would increase individual benefits based on cost of living increases since the current level was set. Clearly, current disabled Americans could use more monthly income to meet their needs, however, it’ll be interesting to see if this proposal goes anywhere given the current issues with funding.